Despite an increase in easy-to-install surveillance cameras and smart doorbells that monitor home activity, package thefts are on the rise. A 2017 survey from InsuranceQuotes.com found that 25.9 million Americans experienced at least one instance of a delivery going missing from their porch, up from 23.5 million in 2015. 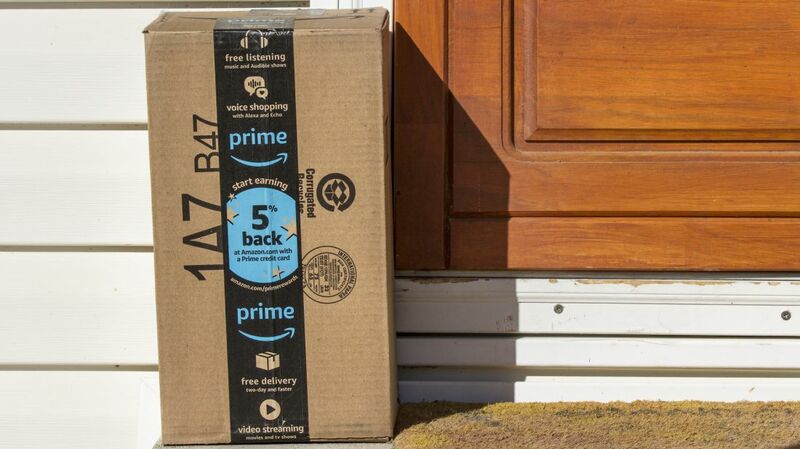 Frustrated homeowners have set traps and even left boxes full of dog poop in an effort to dissuade—or at least penalize—these brazen thieves, who have been labeled "porch pirates." Unfortunately, these porch pirates aren't often caught. Security cameras won't do much good once the package has disappeared. And while giving them a box of feces might feel like vigilante justice, spending the holidays handling poop isn't exactly a win. Fortunately, there are some other ways to practice package theft prevention. The Kansas City Star imparted some pertinent advice from officials at the United Parcel Service (UPS): Packages should be sent to where recipients are, not to where they are not. For most people, that means finding an alternative to getting packages at home when they're away during the day. One option is to have deliveries sent to your place of business. If workplace policies prevent that, you might want to ask a neighbor if they can keep an eye out and either stash your item in their home or use a spare key to deposit it inside for you. Don't trust or know your neighbors? Consider finding a UPS branch that's able to receive packages on your behalf. Items are stored securely at their affiliated locations until you come and pick them up in person. The service has 9000 locations across the country, both mailing centers and third-party channels like grocery stores. The service also has UPS Access Points, which are self-service lockers that remain locked until you arrive to pick up packages. You can search the UPS website to find an Access Point location near you. If you're expecting packages from the United States Postal Service (USPS), you can open a post office box, though there's typically an annual fee for that service. USPS also offers Informed Delivery, a phone app that tracks your package and notifies you when it's arrived. Informed Delivery allows you to communicate with the carrier to offer directions on the best place to leave the package. They might, for example, be willing to deposit your items in an unlocked garage and then lock the door before leaving. Amazon has a service with a similar premise. Their Key Smart Lock Kit allows you to control access to your door locks, including granting access to delivery drivers. The catch? The feature isn't available in all areas. Neither is Amazon Locker, which consists of storage lockers where packages can be left, though it's worth a look to see if any are available in your area. If you've taken measures to protect your purchases but still come home to a missing stack of boxes, you should report the theft to authorities and to the U.S Postal Inspection Service. (UPS encourages you to contact the sender.) The odds of retrieving your items are probably going to be slim, but at least both entities will have data that may help them catch thieves in the future. If you report the item as stolen to Amazon, they may replace it at no cost to you. Another alternative is seeing if your homeowner's insurance covers theft of items around your home's exterior. Your deductible is probably too steep to make a claim of missing socks worthwhile, but a package worth hundreds or thousands of dollars is another story.